I posted a while back about a nice little utility I use on all my Windows 8.x systems to reclaim those lost pixels from Win 8’s giant, padded borders. 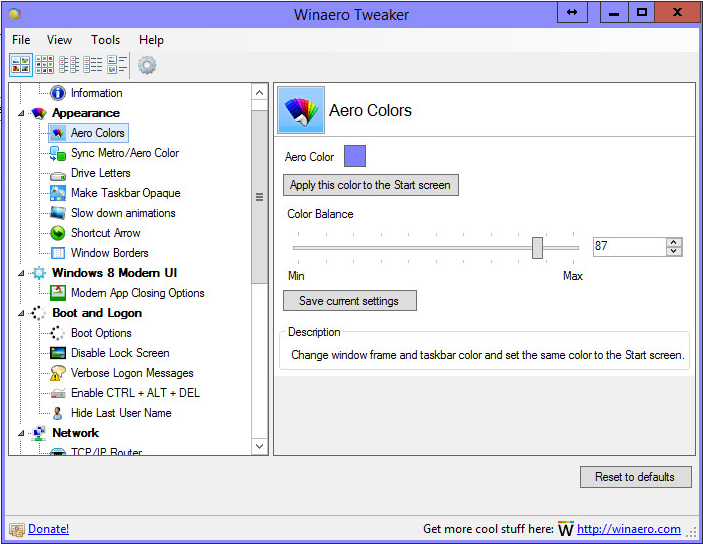 A new feature with Winaero Tweaker allows you to change colors, which is nice when working with Windows Server 2012 R2. Winaero Tweaker launches with an error in Windows Server 2012 R2, but it doesn’t seem to affect the programs ability to change border size or color. I use TeamViewer a lot, both for work (with a purchased license) and the free version for home. Recently, on my home machine, a Dell e6540 whenever I’d connect to it, all I’d see was a black screen. Connecting to another laptop, a Dell e5520, was no problem. One thing I thought could be an issue was the AMD switchable graphics, so I set the teamviewer_desktop.exe to use the more powerful AMD Radeon HD 8790M. Made the switch and no luck. So I asked Google, and found a superuser.com thread (http://superuser.com/questions/777492/teamviewer-other-screen-sharing-showing-a-blank-or-black-screen-to-remote-user) that said to do the exact opposite, set teamviewer_desktop.exe to use the Intel graphics. That was the trick, with teamviewer_desktop.exe set to Power saving, TeamViewer functions normally. Go to the AMD Catalyst Control Center, then Switchable Graphics Application Settings. If TeamViewer_Desktop.exe is not listed, click Add application and browse to your TeamViewer installation (default is C:\Program Files (x86)\TeamViewer) select Power Saving and click Apply. 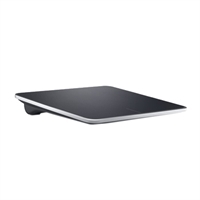 I purchased the Dell Wireless Touchpad sometime last year after I moved my primary workstation to Windows 8. I didn’t really start using it much until lately. I’ve found it’s a great add-on to the mouse and keyboard when working with Windows 8 on a multi-screen setup. I mainly use it for the left and right edge sweep to get to the Charms bar or to switch between programs. I wouldn’t give up my mouse for this, but it’s definitely a value add for only $30. in my earlier post, Windows 8: Tweaks, I mentioned a Registry fix for the fat border issue with Windows 8. 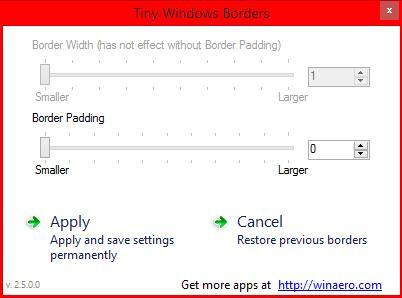 This is a GUI interface for adjusting the Border Width and Border Padding for Windows 8.x. Easier than messing with RegEdit! 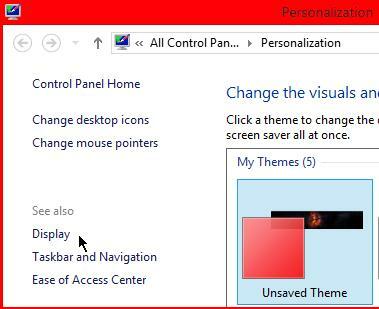 Also, if you want to slim down those outrageous title bars in Windows 8, the process is simple as well. Next, under Change only the text size, select Title Bars and reduce the font size to your desired size, even going down to 10 makes a visible difference. Also, another thing I like to do after I install Start8 or StartIsBack is to restore the quick launch menu. I have had this tip on my old website www.essjae.com for a long time, but here it is again. Right-click the Taskbar, select Toolbars–>New Toolbar. 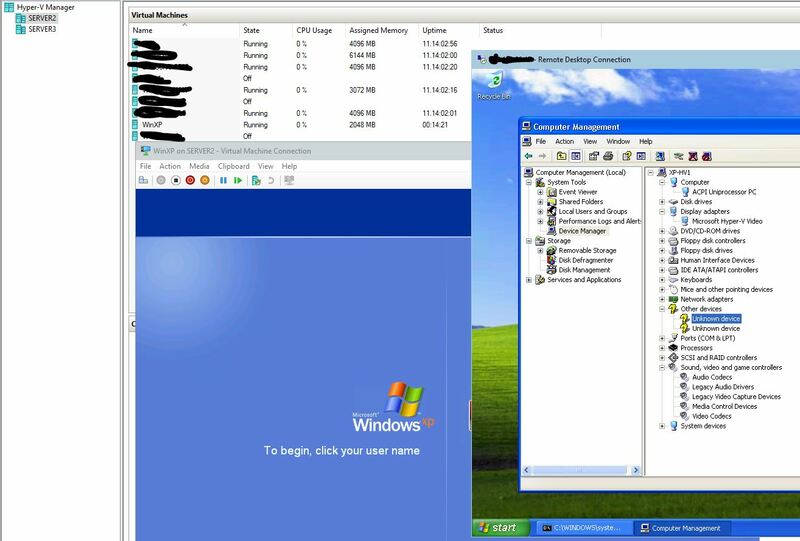 You set up a Hyper-V virtual machine on a host computer that is running Windows Server 2012 R2 or Windows 8.1. You set the Automatic Stop Action setting of the virtual machine to Shut down the guest operating system. You restart the host computer. Message: The previous system shutdown at time on date was unexpected. Note If the computer is part of a cluster, this issue does not occur. This issue occurs because the Virtual Machine Management Service tries to shut down the virtual machine by using the Virtual Machine Worker process. However, the process encounters a logic failure that causes the shutdown operation to fail and reverts the shutdown operation. Therefore, power cycling occurs instead of a clean shutdown. There is a recent KB that addresses some issues that have appeared every so often on the TechNet forums. Since the WP8 emulator uses Hyper-V any related memory issues with running Hyper-V VMs on 8.1 should also be covered by this. Just saw the Facebook posting of how great the Surface Pro 2’s pen is, and I thought that I must really have a really poor digitizer on my original Surface Pro. I followed the link to the Wacom site and found a new driver. Installed it and my pen is much more accurate now than it was. There’s a new calibration process as well. If your Surface Pro pen experience is lacking, give this a try! Expand the capabilities of your Windows 8 and Windows 8.1 tablet computer. Installing this driver will provide many advanced pressure-sensitive features that Wacom pen tablet users have come to enjoy. The driver supports advanced features such as pressure-sensitivity in graphics applications such as Adobe Photoshop and Corel Painter. It also allows you to adjust the pen tip pressure sensitivity and to program the side switch of the pen for a wide range of alternative settings and functions. This driver should be installed on tablets that have Wacom feel IT technologies or Wacom Pen based technologies. This driver will also support older Penabled Tablet PCs running Windows 7, Windows Vista, and Windows XP Tablet Edition. Click on the Download link and save the file to your computer. If you are upgrading from a previous Wacom driver version, uninstall that driver first for best results. Restart the system prior to installing the new driver. Double-click on the downloaded file to launch the installer and follow the prompts. If prompted, restart the system by clicking the Ok button.